There was a day when the best dressed always included a lovely hat. It was the accessory that defined a level of class and completed the outfit. In design, we “dress” each room of a home to make a statement for every space. In this dining room, the “hat” was missing. Often we design a room and forget about the fifth wall . . . the ceiling. 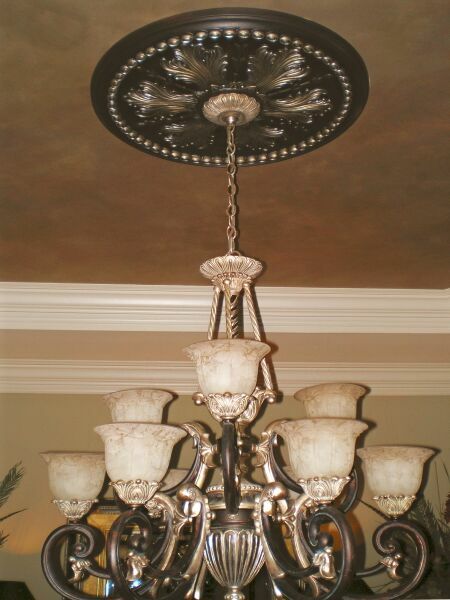 By addressing this important detail, we add presence to the beautiful light fixture, draw attention to the architecture of the trey and create a finished look of elegant sophistication. 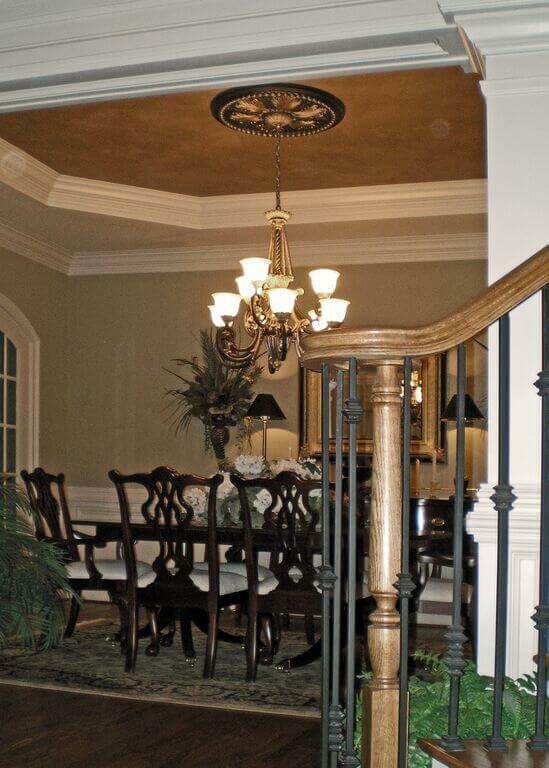 Planning faux finishes for a ceiling can be challenging. This is a surface where you need to consider color, shape, style and focal points. The appropriate balance of all of these factors is critical. If you have ever gone to a paint store in search of the perfect metallic, you know there are many different shades of gold. And, the way it looks on the color card is very different from the way it looks on the actual surface. 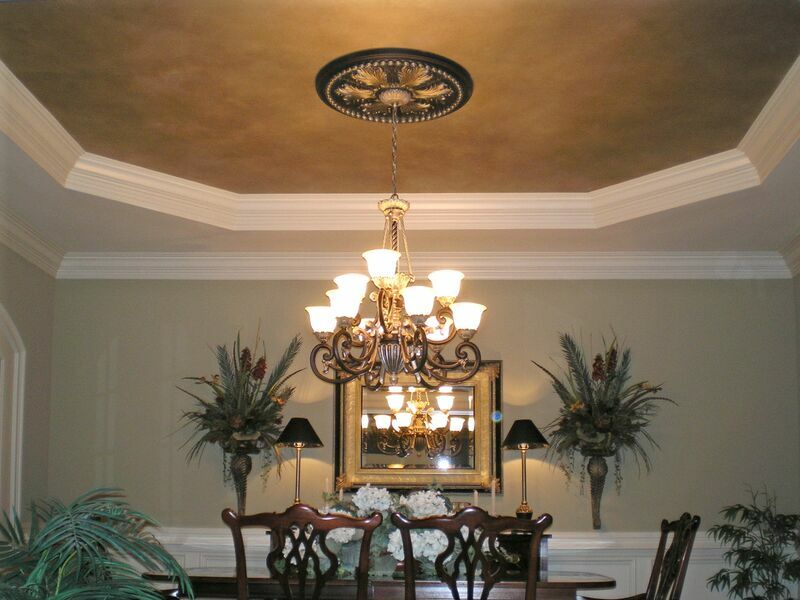 The color recipe for this ceiling was developed to compliment all of the golden tones in the furnishings, accessories and adjacent rooms. An over glaze acts to tint the color and soften the harshness of a metallic. The reflective faux finish was only placed inside the trey so the trim and side areas can act as a frame. 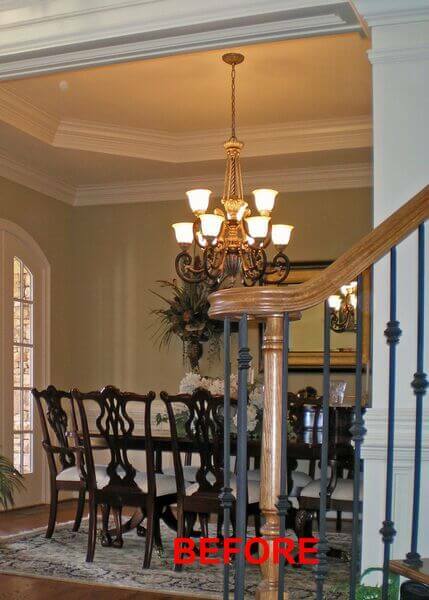 This emphasizes the octagon shape and allows it to stand out as a prominent feature. 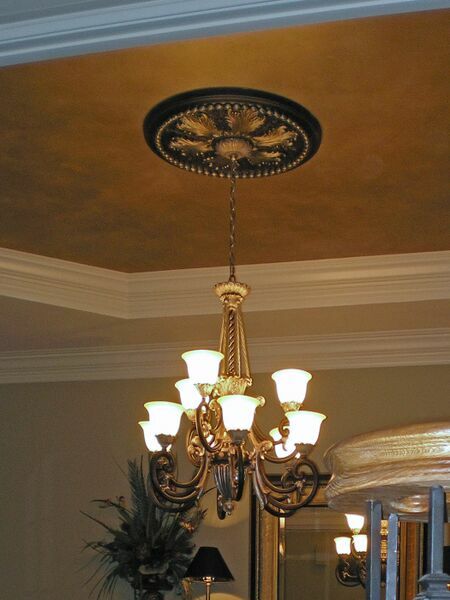 The addition of a ceiling medallion draws attention to the chandelier. The paint technique mimics that finish and presents as an extension of the light fixture. 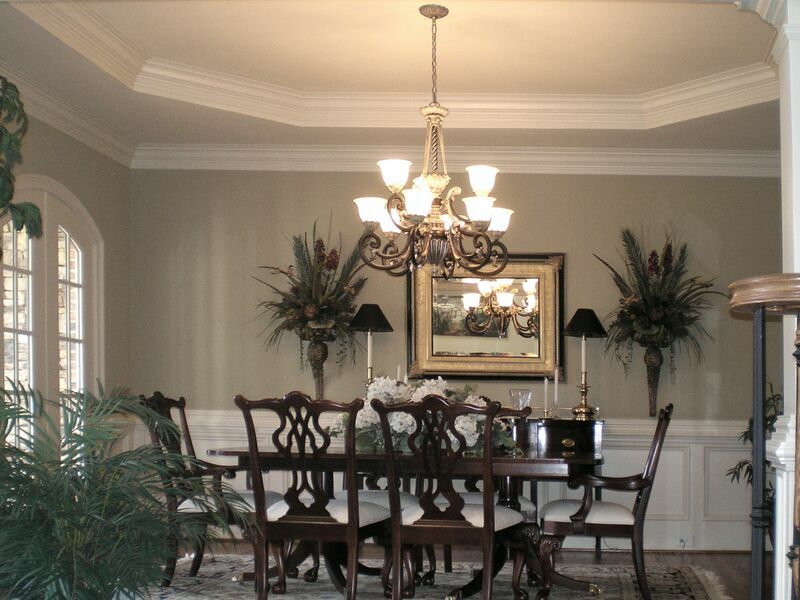 This dining room is adjacent to a 2 story foyer. Creating this dramatic ceiling encourages your focus to remain with the beauty at hand rather than wandering upward into open spaces.